Fort Bend County Criminal Lawyers Jim Sullivan and Associates represent clients accused in criminal courts throughout the State of Texas, including in Fort Bend, Harris, Brazoria, Galveston, Waller, Montgomery, Liberty and Chambers County. They have stood up to prosecutors with questionable ethics and secured acquittals from juries, no bills from grand juries and even dismissals from the prosecutors on the day of trial. 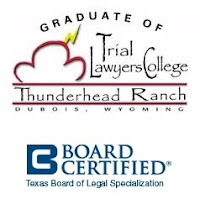 Attorney Jim Sullivan is also Board Certified in Juvenile Law by the Texas Board of Legal Specialization. If you want serious Sugar Land Criminal Defense Attorneys to represent you, call Jim Sullivan and Associates right now at 281-546-6428. In the Houston Chronicle, Daniel Medwed, a law professor at the University of Utah who teaches and writes about wrongful convictions, put the spotlight on rogue prosecutors in the State of Texas. Who are these rogue prosecutors? They are prosecutors who intentionally and knowingly withhold and refuse to disclose evidence that exonerates an accused. Rather than acknowledge that the wrong person was initially accused and dismiss the case, they continue to prosecute an innocent person and thus allow the responsible party to go free.